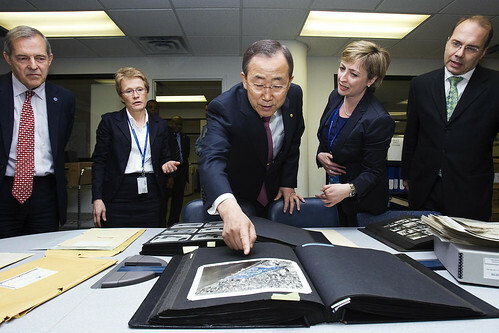 In the United Nations Archives we acquire, preserve, and make available for public consultation, records created or received by the United Nations (UN) in the course of business. Archives serve as institutional memory and provide evidence of the past. They promote accountability and ensure the organization's actions and decisions are transparent. Knowledge of the past creates a better future!